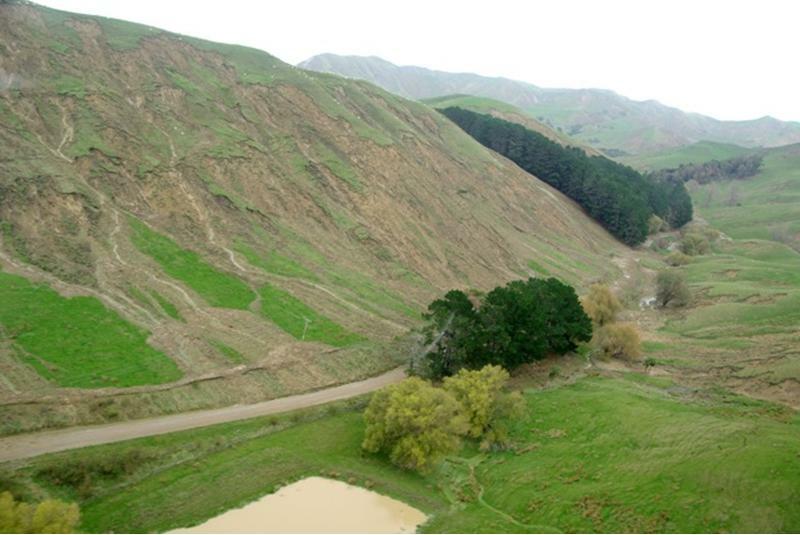 Coastal Hawke’s Bay farmers are reporting up to and in some cases over 500mm – some say it was hard to calculate how much rain fell because rain gauges couldn’t keep up with the deluge. Hawke’s Bay Regional Council automatic weather stations recorded upwards of 200mm on more than a dozen sites throughout the region. While we apparently had about 100mm here at Takapau – it was a vastly different story towards the coast from late on the 25th until the morning of the 28th. Some would have been forgiven for getting out their arks on Tuesday and Wednesday. The gauge at the Maraetoara River at Waimarama Road recorded 209mm on Tues and 173mm on Wednesday (382mm). Other stark HBRC rainfall figures, which are now understandable given the level of destruction the storm left in its wake, were Omakere with 193mm and 159mm (352mm) and Ben Nevis with 135mm and 149mm (284). Ben Nevis (not the South Island or the original Scottish version) is about midway between Wanstead and Aramoana as the crow flies. Aramoana is one of the coastal settlements that has been cut off for days. Moteo had 257mm over the two days, Glengarry 223mm, Kaiwaka 239mm, Ngahere 265mm, Te Pohue 201mm. Moving north of Napier… Kotemaori 263mm, Pukeorapa Station 304mm, Ardkeen 195mm, Marumaru 166mm, Cricklewood 170mm – the list goes on. By the second day, we were starting to find the grim pictures of huge hillsides stripped of every inch of grass and top soil. 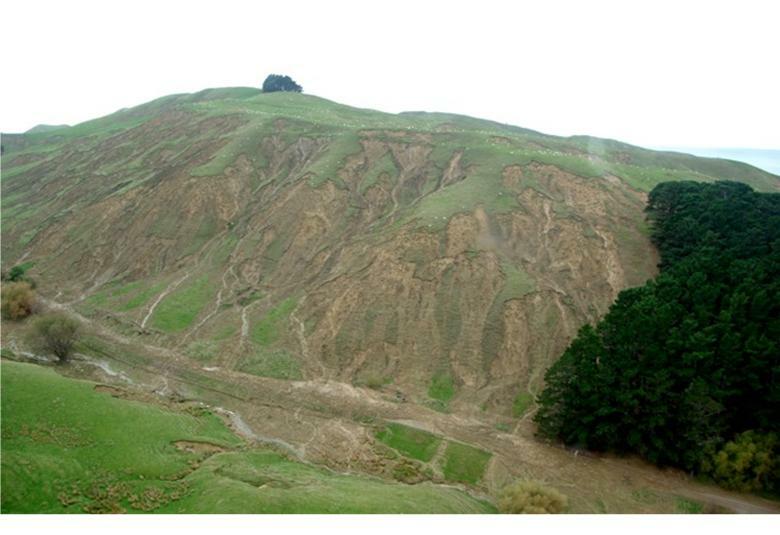 Huge landslides across roads and tracks – some farmers reporting at least half of their farms had disappeared. Terrible scars on every single face. Like Cyclone Bola in Gisborne in 1988 all over again. 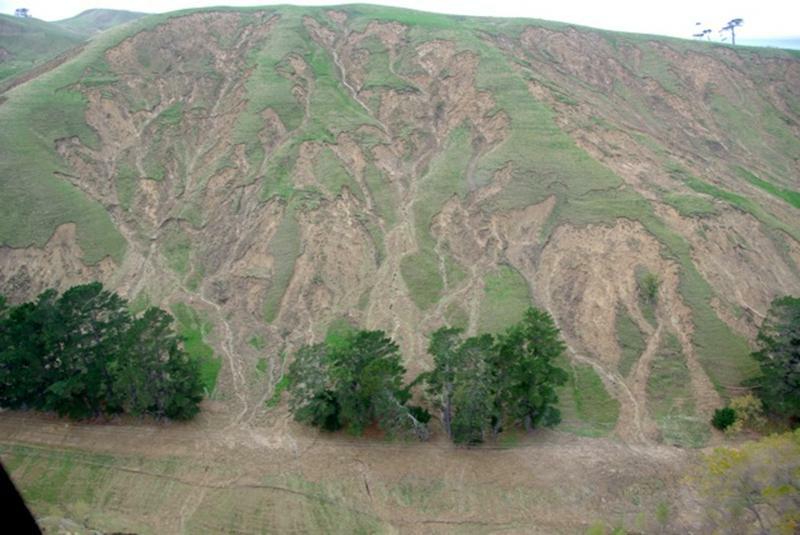 The scars from that storm remain – it wouldn’t be a surprise for coastal Hawke’s Bay farmers to still be reeling from this storm in many years. 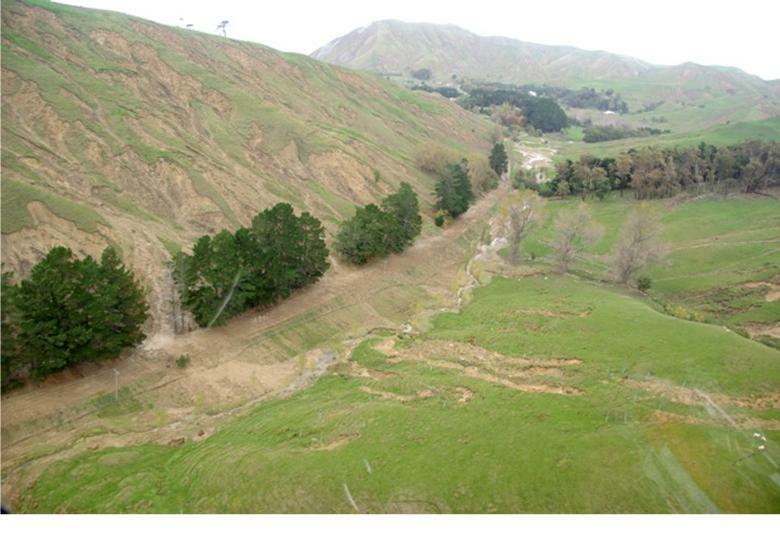 These photos of Gilbraltar Rd leading from Pourerere to Aramoana were passed on to me on email. They were sent on email (not to me) by Mark Warren who farms near this area. 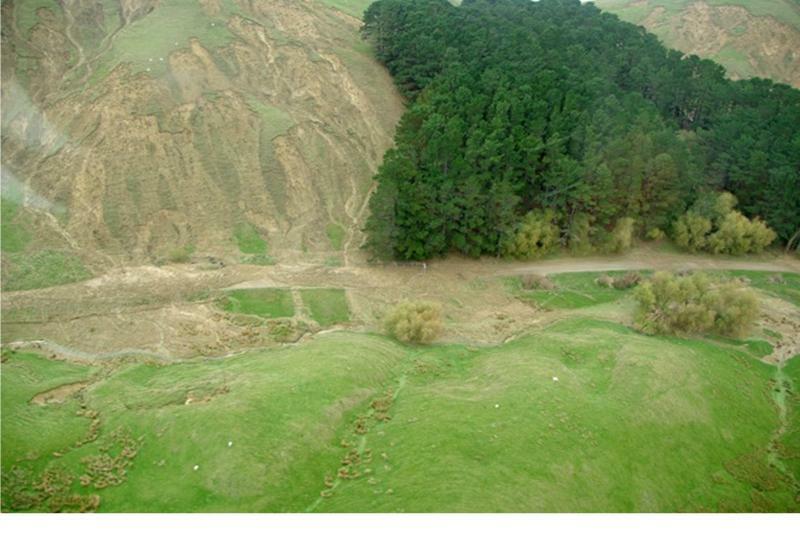 One farmer I know of, near Porangahau, received 480mm in his rain gauge but wasn’t as badly hit as others in terms of damage. But he’s already looking forward – new grass seed has already gone on.